Sat on London Wall our banh mi deli is a City hotspot. Catering to the offices of London City & passers-by our Saigon street food deli is a foodie's haven. 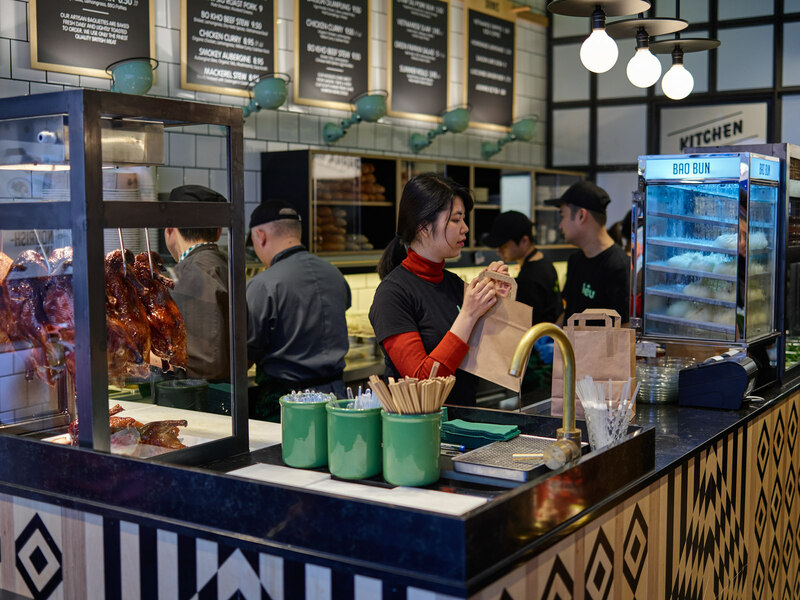 Located in between both Moorgate and Liverpool Street station, our deli is the perfect London spot to grab your favourite Vietnamese indulgent when visiting the City. Serving up our famous Vietnamese banh mi baguettes, rice bowls and noodles. Our speciality over at London Wall are our banh mi and our bowl of 'My Tho Noodles'. Our noodle bowls are made up of hand-pulled noodles that we have flown in from Saigon directly to all of our delis. Our house favourite, our My Tho noodle bowl, is made up of pork cooked three ways, prawns, rice noodles, slow-poached egg, Chinese celery and a 24-hour Pork Bone Broth. Visit us on London Wall all day Monday - Friday for the best in Vietnamese street food.